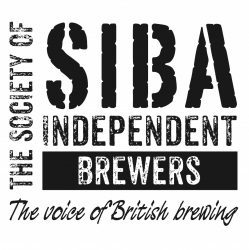 SIBA directory: Excelerate Resources is a specialised Recruitment and Coaching consultancy with a specialised focus on the brewing industry. We excel in providing a personalised, confidential, “people fit” placement service to small organisations. We enable you to build teams of distinction, from production and sales people, right the way to Director level. Glass Manufacturer Branded glass has fast become the number one medium to promote your brand or brewery consumers are keen to associate themselves with key brands which have an image, style or in some cases expense. By using decorated glass a premium image can be achieved for both bottled beers and draught beers to promote a particular brand, award or to reinforce an exciting brand. Labelling & Packaging inspirepac are a leading independent, expert and dynamic supplier of creative corrugated packaging solutions. Achieving the highest standards in customer service, quality, innovation and value that exceeds clients’ expectations are key to our business. Maltsters Muntons are a family owned, established maltster based in the heart of the UK’s prime barley growing region. We offer a wide variety of white and coloured malts, brewing adjuncts and extracts to the brewer both large and small, backed up by our in-house team of qualified brewers and technicians. Best Range of Bottle Labels Off Licence News offers unparalleled access to the key sectors in the UK off-trade, from the head offices of major multiples to independent retailers and off licence led convenience stores. This is all independently qualified by our ABC certificate, a guarantee of our unrivalled coverage. No other titles cover the UK off-trade in such depth, and with more than 148 years of industry experience, Off Licence News offers the most authoritative and objective news in the industry, with a multi award winning editorial team.